Hi from our nation's capital. After a year of scandals, Facebook lost its place as the best company to work at, according to Glassdoor. Facebook fell from first to seventh in the survey. Why it matters: While customer defections or new regulations could both be longer-term consequences of the company's many trials, employee retention could be the most immediate challenge. 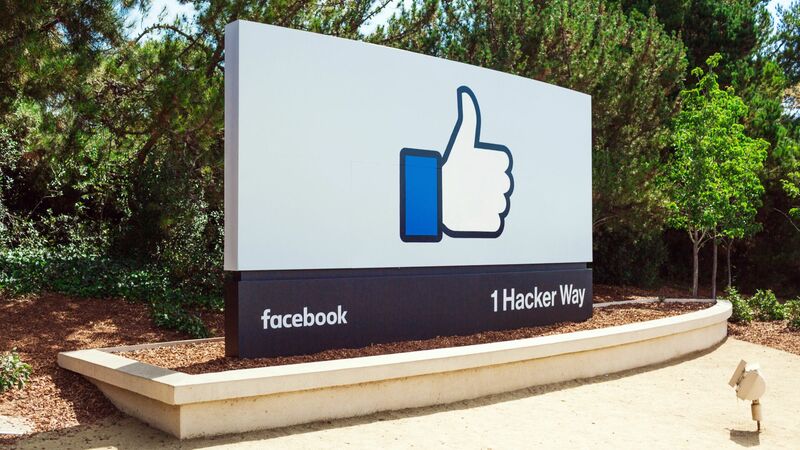 The big picture: The Glassdoor survey follows a largely anecdotal report from CNBC that more Facebook employees have been seeking references from former coworkers. The Wall Street Journal reported last month that surveys showed morale dropping after a year that has included a number of unflattering revelations and a declining stock price. Yes, but: Facebook is still among the top firms in the survey. In all, there were 29 tech companies among the top 100, including Zoom Video Communications at No. 2, behind only Bain & Co.
Google, at No. 8, is just one place below Facebook. Microsoft-owned LinkedIn was 6th, up from 21st. Apple, which is one of only three companies that has been on the list all 11 years of the survey, moved up to No. 71, from No. 84 last year. Other tech firms on the list include Hubspot (No. 16), Docusign (No. 17), Ultimate Software (No. 18), Paylocity (No. 20), SAP (No. 27) Adobe (No. 30), Microsoft (No. 34), Nvidia (No. 36), Intuit (No. 38). Separately, TechCrunch says Facebook is removing a restriction that prevented developers from creating products on its platform that directly compete with similar functions from Facebook itself. That could help boost developer interest, but might be a challenge to internal morale if Facebook struggles to compete with third-party efforts. As expected, Qualcomm on Tuesday showed off its next-generation processor — the first to support 5G, as well as a prototype 5G phone. Also, AT&T and Verizon brought along a demo network, allowing attendees of its Maui tech event to try out the 5G experience. Why it matters: In order for mobile 5G service to start early next year, the pieces need to already be in place. Seemingly they are, with the industry excited that the new generation of cellular gear is launching a few months ahead of the original schedule. Qualcomm said next year's high-end chip, the Snapdragon 855, will feature the ability to record 4K HDR video and new AI capabilities in addition to support for 5G's millimeter wave frequency. Samsung said AT&T, like Verizon, will offer a 5G-capable flagship phone in the first half of next year. Although it's now just one part of PayPal, the once independent payment processor Braintree continues to see strong growth, with revenue up 54% in 2017. By the numbers: The company is now handling more than 6 billion transactions a year, with more than $500 billion in payment volume handled since PayPal acquired it 5 years ago. That is a "pretty good growth story on a pretty good base,” general manager Juan Benitez told Axios. Why it matters: Having split from eBay, PayPal is under pressure to find new markets on its own. Units like Braintree and Venmo are key to that growth. The unit now has 650 employees, up from 200 five years ago, and the latter figure also included Venmo, which is now counted separately. Braintree accepted Bitcoin for a while, but stopped two years ago. "We just did not see a merchant demand for it," Benitez said. It might have been just a funny little gaffe. What happened: Last week, Trump lawyer Rudy Giuliani lashed out on Twitter against Robert Mueller, criticizing the special counsel for issuing indictments as President Trump was leaving for the G20 summit. However, in leaving out a space, he created a link to a web domain that someone quickly bought and used to post an anti-Trump message. That should have been where the story ended. But on Tuesday, Giuliani doubled down and blamed Twitter, saying it allowed someone to "invade" his text with a "disgusting anti-President message." Twitter responded, naturally, that its software automatically created a link, as it does. Given that the domain wasn't registered, someone bought it and posted something there. Why it matters: Giuliani, in addition to representing Trump, was also an adviser on cybersecurity policy. It's a national day of mourning for former President George H.W. Bush, leading to the cancellation of many events scheduled for Washington. D.C., including the testimony of Google CEO Sundar Pichai, who will now appear before the House Judiciary Committee next week. Qualcomm's Snapdragon Technology Summit continues through Thursday in Maui. PGP and Silent Circle co-founder Jon Callas is leaving his security post at Apple for a fellowship with the ACLU. Once upon a time, there was no Spotify. The name of the game was a series of competing MP3 player programs that vied for user attention with, among other things, various skins to customize one's music player software.